Welcome to our website, which we hope you will find helpful and informative. Most topics have been given a brief and general description and we welcome your phone calls or emails seeking more specific information relating to your particular conveyancing needs. Karen Cranney Licensed Conveyancer, based in Nelson Bay NSW (45 minutes from Newcastle) understands that buying or selling real estate is one of the biggest emotional and financial deals most people will experience in life and that’s why it is so important to choose the right person for your job. Karen caters to the individual needs of each of her clients from the nervous first home buyer to the highly experienced developer and all stages in between. Karen treats each client as a ‘name’ not a ‘number’. Karen strives to be the best in the business. Through many years of experience, Karen has gained invaluable knowledge and expertise. As a Licensed Conveyancer, Karen has an in-depth understanding of the complex laws surrounding property transactions and attends Continuing Legal Education seminars to keep up to date with the ever-changing laws. Dealing with interstate and overseas clients is no barrier for Karen, as she practices from offices in Nelson Bay, NSW, Australia, however is well equipped to deal with clients residing anywhere in the World, provided the property being conveyed is within New South Wales. Karen specialises in conveyancing in Port Stephens, Newcastle and Hunter Valley, however all other areas in New South Wales are no problem, with today’s modern equipment and technology. Karen’s service is of the highest quality. 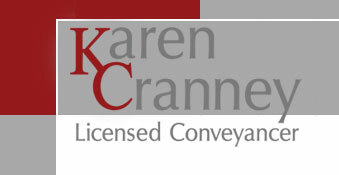 Phone or email now for a quote on your conveyancing.